I look forward to working with my colleagues on the state Board of Examiners to help attract more young dentists to our state and to create an environment where both providers and patients can thrive. Monarch Dental is proud to announce the appointment of Dr. Richard Smith to the Arkansas Board of Dental Examiners. Dr. Smith has been with Monarch Dental for nearly 22 years and is the owner of Modern Dental Professionals – Smith, P.A., the dental group that operates all 9 Monarch locations in Arkansas. Governor Asa Hutchinson selected Dr. Smith from an impressive group of nominees based on his long record of service, unique background and the fresh perspective he will bring to the Board of Dental Examiners. The dental industry is undergoing rapid changes with clinical and socio-economic trends making it harder for traditional private practices to keep up. Dr. Smith brings experience both as a private practice owner and lead provider within a large dental group that has affiliated with a dental support organization (DSO) to his role on the Arkansas Board. 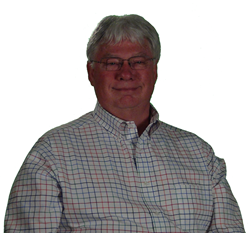 Dr. Smith graduated from Arkansas State University in 1978 and first pursued a career as a pharmacist. Yearning to play a larger role in patient care, he attended the University of Tennessee College of Dentistry graduating in 1988 and, in 1995, completed a program at the University of Arkansas in IV conscious sedation. Over the past thirty years, Dr. Smith has helped countless patients live better lives free of pain and with the heightened self-esteem that comes from looking their best. He has also seen many industry changes from how dentists are reimbursed for their services to how much debt young dentists have upon graduation. Even social media has impacted the practice of dentistry and the way the Board of Examiners interacts with dentists. These and other factors have led to a dental provider shortage in Arkansas and most rural communities across the U.S.
Dr. Smith travels to his alma mater every year to encourage young dental school grads to practice in Arkansas, but his recruiting efforts started even closer to home. His son, Tyler and daughter Chelsea are dentists with Monarch Dental and his son-in-law Payton is an oral surgery resident. He looks forward to helping further the interests of both patients and dental providers as he begins his five year board term. Monarch Dental provides general dentistry, children’s dentistry and, in select locations, specialty care services such as orthodontics, oral surgery, periodontics and endodontics at 79 offices throughout Texas and Arkansas. Monarch Dental is operated by dental groups that have affiliated with Smile Brands Inc., one of the largest providers of support services to dental groups in the United States. Smile Brands Inc. provides comprehensive business support services through exclusive long term agreements with affiliate dental groups, so dentists can spend more time caring for their patients and less time on the administrative, marketing, and financial aspects of operating a dental practice. Smile Brands is a portfolio company of Gryphon Investors (“Gryphon”), a leading middle-market private equity firm based in San Francisco, CA. For more information, visit http://www.monarchdental.com.